Light Yagami is a university student who resents the crime and corruption in the world. 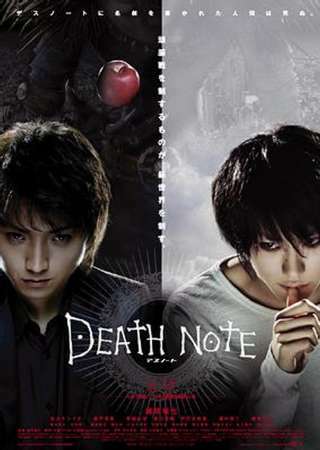 His life undergoes a drastic change when he discovers a mysterious notebook, known as the "Death Note", lying on the ground. The Death Note's instructions claim that, if a humans name is written within it, that person will be killed. Light is initially skeptical of the Death Note's authenticity, believing it is just a prank. However, after experimenting with it and killing two criminals, Light is forced to admit that the Death Note is real. After meeting with the previous owner of the Death Note, a Shinigami named Ryuk, Light seeks to become "the God of the New World" by passing his judgment on criminals.Soon, the number of inexplicable deaths of reported criminals catches the attention of the International Police Organization and a mysterious detective known only as "L". L quickly learns that the serial killer, dubbed by the public as "Kira" (derived from the Japanese pronunciation of the English word "Killer"), is located in Japan. L also concludes that Kira can kill people without laying a finger on them. Light realizes that L will be his greatest nemesis, and a race to prove mental superiority between the two begins.